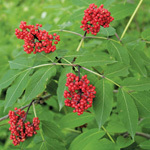 Larger plants may be available at the nursery. Contact us for availability. 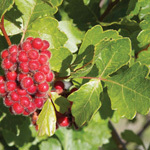 Also commonly known as Indian cherry, this ornamental shrub or small tree is easy to grow and tolerates a wide range of conditions. 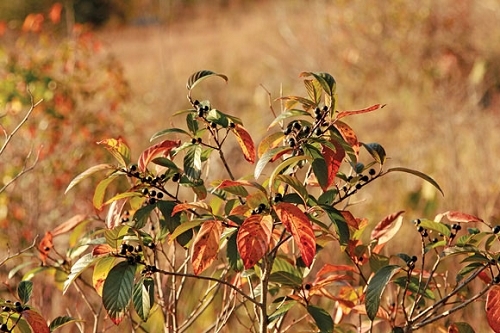 The attractive foliage is dark green and shiny during the warm months and turns yellow/orange in autumn. 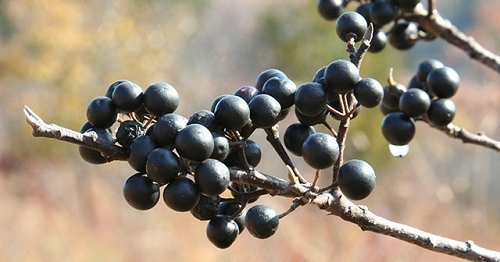 As the berries form, they go from red in late summer to black as they mature; they are especially attractive to birds. 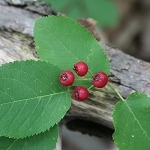 Carolina buckthorn has an open, airy form with a shape that is similar to flowering dogwood. 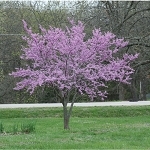 It will grow best when it has a bit of shade during hot afternoons.